Thank you for joining us at the True Fear: Forsaken Souls Walkthrough, your safe haven for when the shadows become a bit too dark and the sounds begin to grate on your sanity. Rely on our trusted detailed instructions, custom marked screenshots, and simple puzzle solutions to see your way through this terrifying ordeal as you encounter a sinister force lurking just a step behind you in this thrilling hidden object adventure game. We hope you enjoy our True Fear: Forsaken Souls Walkthrough. In True Fear: Forsaken Souls, you are awakened from a horrific nightmare in the middle of the night by a loud knocking at your front door. A late night delivery reveals a letter from a long lost sister begging you to meet with her at an unknown address. You hesitantly oblige her request and find yourself thrust in a horrifying reality where something sinister is stalking your every move. Can you discover the truth about your past before it takes you as its next victim? Find out in this truly terrifying hidden object adventure game. Difficulty Settings - There are three difficulty settings for you to choose from: Casual, Advanced, and Expert. Navigation Arrow - When your cursor turns into an arrow you can move to the next screen. Journal - Your journal is stored in the bottom left hand corner of your screen and contain your current notes in the game. Magnifying Glass Icon - When your cursor turns into a magnifying glass, it means you can zoom in on an area and get a closer look or discover more information about an area. Hints - Hints can be found in lower right hand corner. Click on it if you're stuck and need some assistance. Remember this will take time to charge depending on what difficulty setting you are playing on. Inventory - Your inventory can be found at the bottom of the screen. Hover your mouse over the bottom to bring it up. Click the arrow in the middle to lock the inventory in place. Click on an item to use it. Map - The map will tell you where you are. Click on it in the bottom right hand corner of your screen to open it. Click on an area to fast travel to that location. Fuzzy Areas - Areas that are gray and fuzzy indicate a hidden object scene. Click on the area to start it. Find all the items on the list in order to add an important item to your inventory. Objects that are transparent require you to zoom in on an area. Objects in red require an extra step to find the item. Mini-Games - During mini-games, if you are having trouble or maybe you just don't feel like solving it, you can click on the skip button. 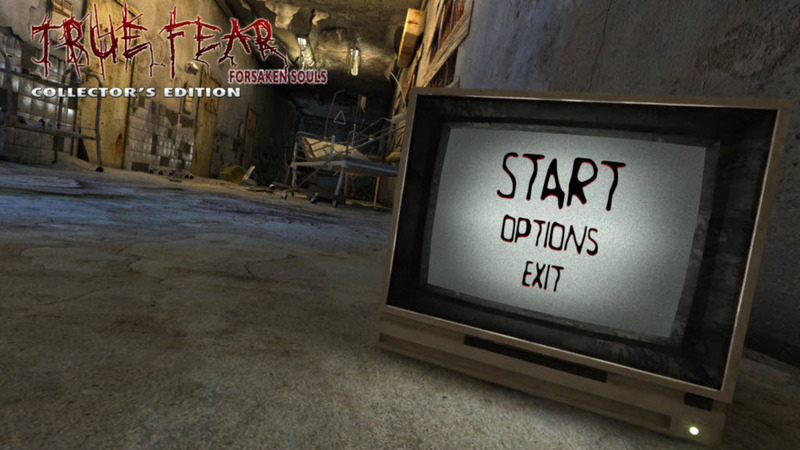 And that's the basics for playing True Fears: Forsaken Souls Walkthrough! Good luck! And we hope you enjoy our True Fears: Forsaken Souls Walkthrough! Good luck!